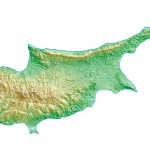 Cyprus has some world-class medical clinics and seems to be leading the field in terms of Lyme treatment using ozone. I’ll be attending for a month at a newly-built clinic in Limassol (so new that it’s not mentioned on that site yet) from June 20th this year. I will continue to work as all I need is a laptop and an Internet connection. My accommodation and the clinic are all wifi-ed up! I’ll post more updates as I progress through this treatment, and give you all the inside info in case you are thinking of making the same trip. Can I ask if treatment worked? Yes! I am doing very well after my second trip.